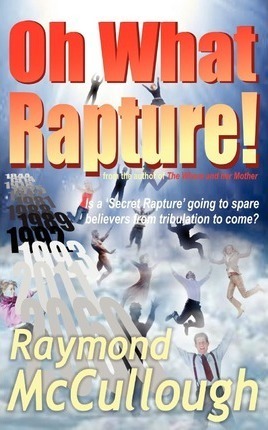 Is a "'Secret Rapture'" going to spare believers from the tribulation to come? Many are convinced that very soon an event known as "'The Rapture'" will take place, where bible believers all over the world will suddenly disappear, leaving society at a loss to explain the disappearance of so many. Many non-fiction books, fiction thrillers and movies have capitalised on this theme, earning a fat revenue for their authors/producers. But is this really what the bible teaches? Is "'The Rapture'" genuine, or a false hope? Are those who trust in it being duped, so that they do not get ready for what is coming? And are they being disobedient to the clear command of the Lord? Written by the author of Amazon best-selling book, "The Whore and her Mother," also on the topic of bible prophecy, this volume focusses on the false teaching of a "'secret and separate Rapture'" - an event which is NOT supported by scripture! This book investigates the scriptures used to back up the "'secret Rapture'" theory and clearly compares them to the other scriptures concerning the return of the Messiah, Jesus (Yeshua). The evident truth is revealed and the origins of the false "'secret Rapture'" doctrine are exposed. Believers around the world are taught to expect persecution, sometimes even death, for their faith. More have been killed in the past century than in previous centuries combined - in China, Cambodia, Nigeria, Iran, Egypt, Indonesia, Vietnam, etc. Yet many believers in the west confidently expect to avoid any persecution and be "'beamed up'" out of any coming tribulation! The book also covers several other topics around the second coming - the wrath of God, the Great Tribulation, the first resurrection, Daniel's "'Seventy Weeks'," the Return of the King and how we should prepare for all these things in obedience to the words of the Lord. Believers are called to be faithful witnesses - unto death, if necessary! Raymond exhorts disciples of Jesus to be informed, prepared, ready and watching - able to joyfully carry out the commands of the Lord. If you thought believers were soon going to be lifted out of a worsening world situation, be prepared to meet the exciting challenge of scripture head on! Raymond McCullough, from Co. Down, near Belfast, Northern Ireland, has been a professional writer for over twenty years. Beginning with technical articles and reports for UK magazines, he then published the Irish Christian magazine, 'Bread', from 1990-96, with his first book, 'Ireland - now the good news!' in 1995; (co-edited by his wife, fiction author, Gerry McCullough). He has also had articles published in the Irish Times, Dublin, and the Presbyterian Herald, Belfast. He hosts the 'In tha Name a' Gawd!' and 'Fresh Bread' satellite radio shows, plus 'Celtic Roots Radio' - a regular 30-minute show of Celtic, folk, folk-rock, Breton, Galician, bluegrass, Cajun, Cape Breton, acoustic and singer/songwriter music, broadcasting on satellite and podcast on iTunes. For seven years, he and Gerry led a cell-based Christian fellowship in the Belfast area - also producing an album of Celtic & Hebrew worship music, 'Into Jerusalem' (2005) and a Celtic pop-folk album, 'Different' (2008). His 'Kingdom Come Trust' ministry website (kingdomcome.org.uk) has hundreds of enthusiastic emails from satellite radio listeners in US, Canada and other countries. Raymond says, "They love the Irish music and culture - although the interviewees are from many parts of the world." Raymond has researched bible prophecy for about forty years, off and on, but the events of 9/11 brought an urgent focus to his research. He is also working on a TV documentary, filmed mainly in Canada, entitled, "'Broken Treaties.'"